If you’re in the market for an Folding Pop Up Camper, look no further than the Forest River Flagstaff Hard Side High Wall Series. The 19QBHW Flagstaff floorplan promises plenty of features, comfort, and storage. It has everything you need to feel right at home. 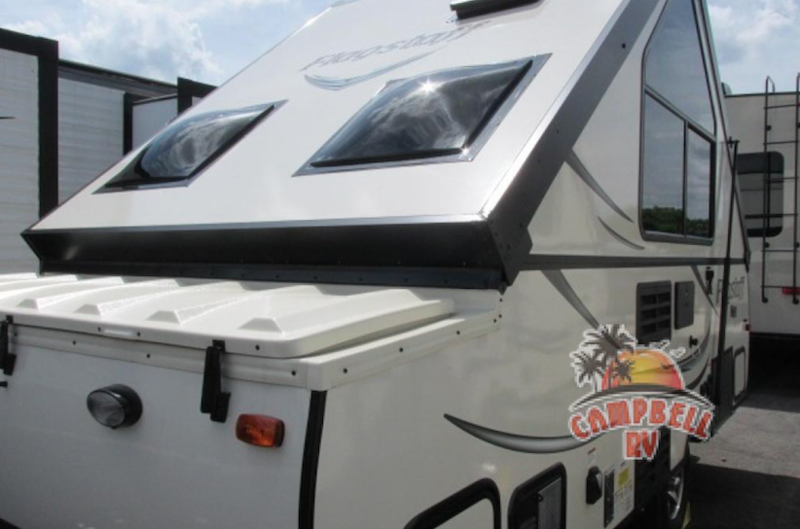 In our Forest River Flagstaff Hard Side High Wall series review you’ll see what makes this RV special. Just because this RV is lightweight and compact doesn’t mean that you’ll be cooking over a campfire. 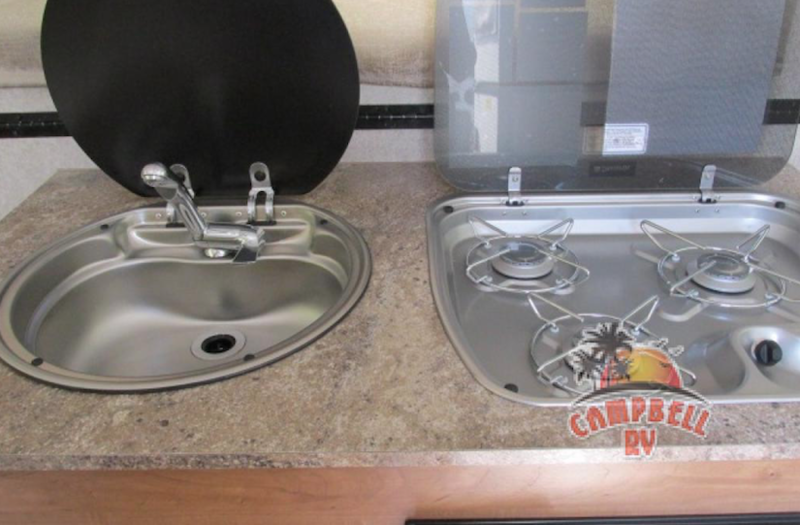 The Flagstaff features a sink and three-burner range. Regardless of where the open road takes you, the Flagstaff’s bed is comfortable and inviting. Hit the beach or hike a grueling trail for a view that only the lucky few get to see. Then return to your camper to kick back and catch some Zs before doing it all over again. The Flagstaff Hard Side High Wall series comes with roomy storage area inside and out. You’ll love being able to hit the road and take all of your favorite items along with you without wanting for space. 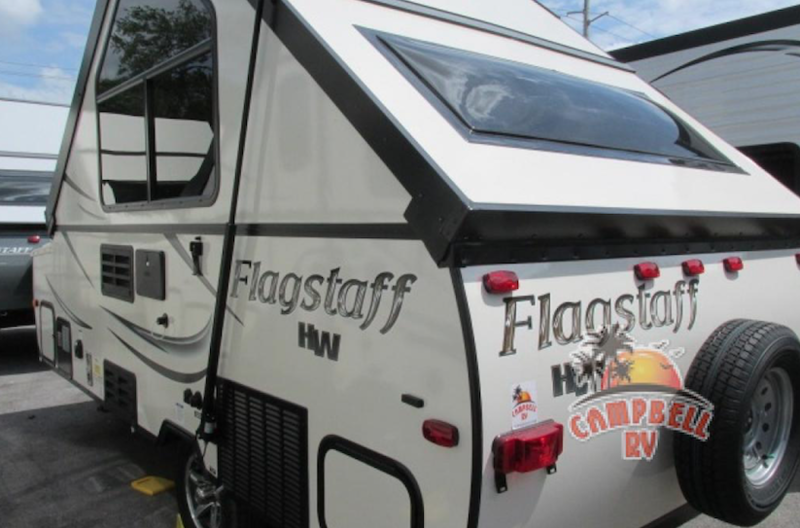 If you’re interested in learning more about the Flagstaff Hard Side contact us, We’re here to help you find the best RV for your needs and answer any questions you have. 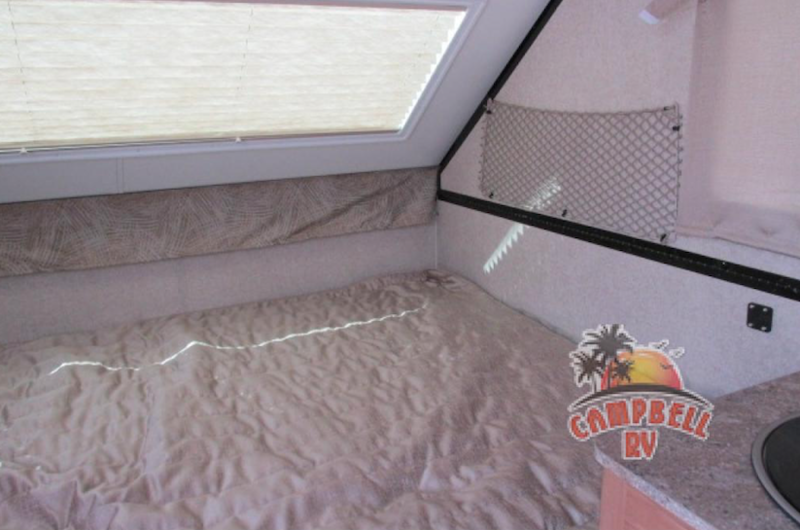 View our selection of Flagstaff Hard Side High Wall Folding Pop Up Campers for sale.